January 1st tends to bring new goals and dreams to the table. But what are the most common New Year’s Resolutions? According to Nielsen, resolutions typically fall into the following categories: health, fitness, finance, and travel. All good things to reevaluate, however, there’s another important aspect of your life to improve upon in the New Year: your beauty routine! Many people wash their hair on a daily basis out of habit, but it’s really bad for your hair—especially if your hair is dry, damaged, or naturally curly. So how often should you be washing it? Ideally, no more than three times a week, though four if your hair is short or fine. Worried about oiliness? Don’t be. All you need is a little amika Perk Up Dry Shampoo in your routine. Dry shampoo will get rid of the greasy sheen at your roots, while a dry conditioner, such as amika Silken Up Dry Conditioner, will help soften your dry ends. Many tend to wash their hair every day because they don’t know how to re-style next-day hair. If you plan out your hair looks for the week, you can save time and stress in the morning. After applying dry shampoo to your roots, and dry conditioner to your ends, feel free to give your hair a refresher with a blow dryer and/or hot tool. On day one, rock your beautiful blowout. On day two, go for a textured look by refreshing with a dryer and round brush; then finish the look with some texture spray. On day three, use a curling wand to turn your look into beachy waves. And if you can make it to day four, throw it up in a messy bun. Changing up your part is also a great way to hide second (or third!) day hair. Have you ever spent part of your morning and evening brushing out painful knots? To get rid of those snarls in a painless way, consider getting your hands on a detangling brush. In all seriousness, a detangling brush will change your life. They prevent breakage and they make brushing your hair enjoyable. 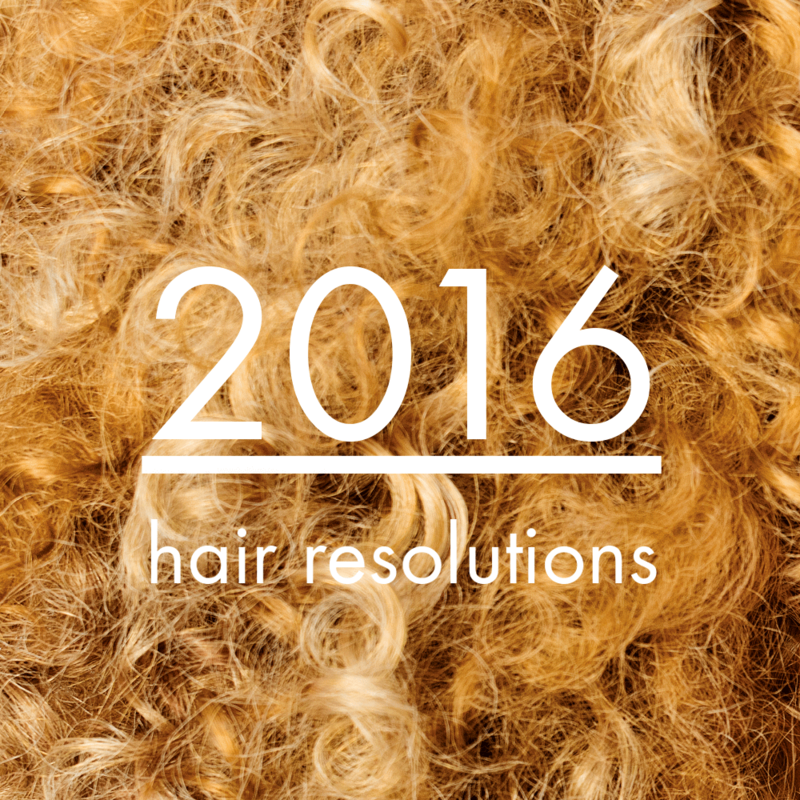 If you’ve been sporting the same haircut or color for years, what better time to change it up than the start of the New Year. Trust me: you’ll feel like a million bucks! And hair styling and color trends are so fun and experimental now that you can really push envelope. Back in the 70’s, women would use clothing irons to get the trendy pin-straight look. Yikes! Thankfully, hair tools have evolved since then, but metal plates and weak blow dryer motors are still a norm. Metal plates are extremely damaging to the hair; instead, opt for a curler and styler made with either ceramic or titanium plates. As for your blow dryer, make sure you get a blow dryer with a powerful motor and an ionic option. A professional-grade dryer will make your hair healthier over time and you’ll cut your drying time in half. The next time you see your stylist, ask which products will best suit your hair type. You may be using the wrong shampoo, conditioner, or styling product which could be causing more harm than good. Every time you go in for color or highlights, ask you hair stylist to use Virgin to help protect and build the bonds in your precious hair. Admit it: you’re holding on to products that you tried months ago but haven’t used since. We all do it. Those old products are taking up valuable space in your vanity, so take a moment at the beginning of the year to clean out your cabinets and toss any products you haven’t used in the last 3 months. You could even give (or trade) them with a friend or co-worker. While you are at it, check the expiration dates on the products that you do use regularly too in case they have expired. Would you like to add to this list? Let us know in the comments below!